Strata legislation in New South Wales has recently undergone a major overhaul, with changes being made to many of the management processes associated with it. More than 90 amendments have been passed and they became active on 30 November 2016. 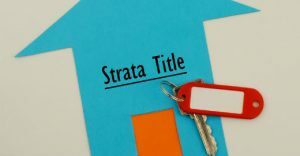 The motivating force behind these changes has been the need to modernise the legislation which has thus far governed the activities of strata title owners, tenants, and managers. Changes will involve the simplification of many of the processes of communication between strata title residents. For example, digital technology can now be employed in communications, such as voting and meetings. Processes of approval for changes such as renovations are also becoming more streamlined. In order to make sure these changes run smoothly, the role of the Strata Manager has also changed. Under this new legislation, Strata Managers will have increased accountability for the implementation and running of processes. This is good news for Strata Managers who are already operating with integrity and to a high standard. Greater accountability gives Strata Managers the opportunity to gain a competitive edge and stand out from the crowd by being credited for their professional conduct. Strata Managers will also be called on to employ greater disclosure in their activities, with particular reference to financial disclosure. There are changes to terms of appointment, with a greater control being given to the persons offering the appointment contract. These steps will all work in favour of quality assurance and transparency in the industry, making work in this sector a positive and fair place to be. Changes to legislation such as this are a positive step for those seeking employment in, or already working in the Strata Management area. Greater regulation in the industry means those considering a career in this area can enter the industry knowing that opportunities exist for those with the right qualification and ethics. Whether you are already working in the property management field, or are considering making a career shift, gaining the right qualifications will leave you best placed to succeed. The Australian College of Professionals is a Registered Training Organisation offering quality affordable training that is available through face-to-face training or by distance education. If you would like to find out more about becoming a property professional or ongoing training opportunities, contact the Australian College of Professionals or call 1300 88 48 10.